I have used Wordle for years in class but recently have also been playing with the WordFoto app on my I-pad. 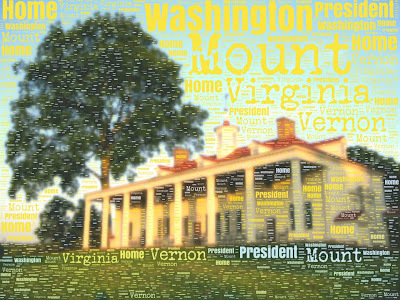 WordFoto isn't as "texty" as Wordle - meaning that it is not intended to take an entire speech or paragraph like Wordle. It is more about taking a photo and adding text elements to the photo. I have enjoyed taking some family photos and making this year's Christmas card and making an graphic of a Husker football player. I think it also has potential for making interesting images of historical figures and places. Below is a quick WordFoto made of a picture I took of Mount Vernon a couple of years ago while attending a Gilder Lehrman summer workshop. I have include the original photo as well to allow you to compare. The WordFoto app is currently available only as an Apple app. If you would like to check out some great examples of what WorldFoto can do check out their Flickr page. As we prepare to observe another anniversary of Pearl Harbor, an excellent new interactive site from National Geographic is available for teachers to use in the classroom. 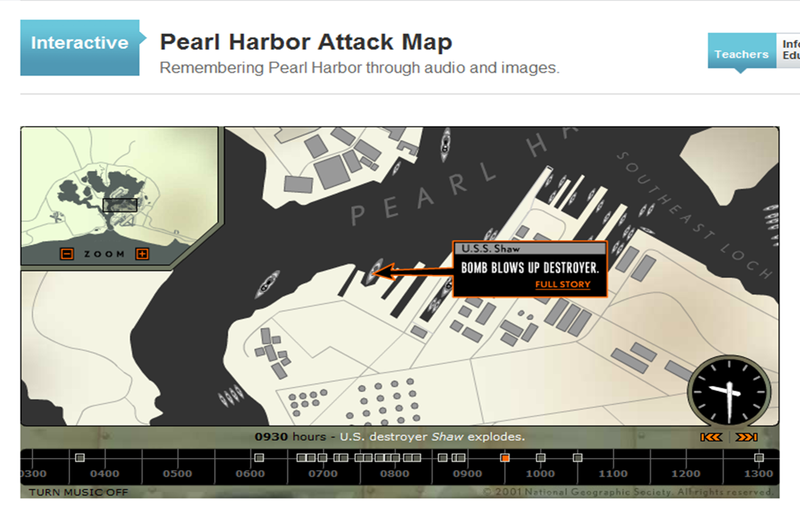 Thanks to @explorehistory for sharing this resource on Twitter.